Takipril® - Prilocaine HCL is a local anaesthetic of the amide type with short-medium duration. It has significant plasmatic clearance without cumulative effect. The hematic rate of Takipril® is low and it has the lowest toxicity among the amide type local anaesthetics. 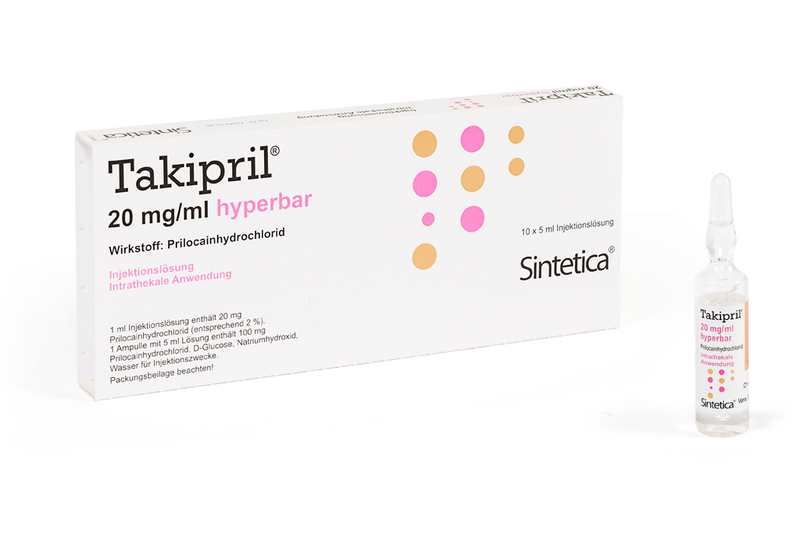 Takipril® is a hyperbaric solution of Prilocaine for intrathecal use. It is the ideal local anaesthetic for short-medium duration surgery under spinal anaesthesia.